Home » News » Property News » Demolition Time! 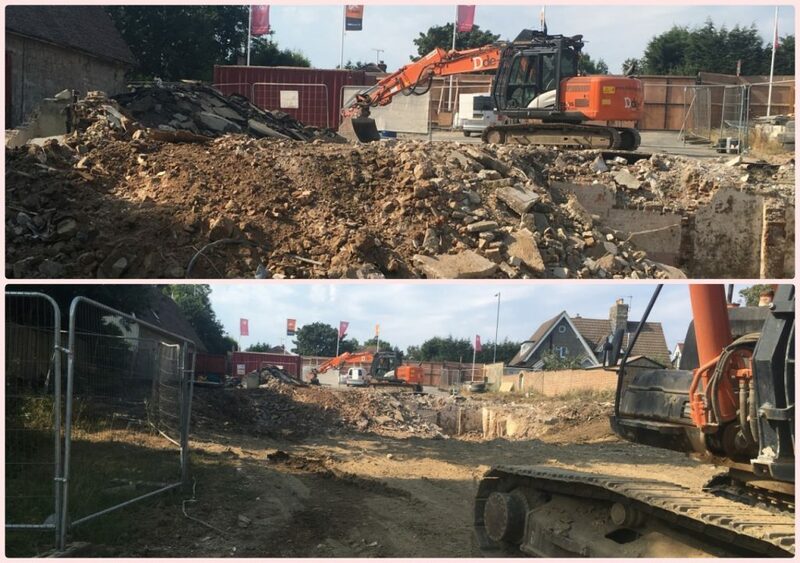 Demolition work has now completed at the site of the former Robert de Mortain pub on The Ridge in Hastings. And we look forward to the groundwork commencing next week. The Park Lane Group is transforming the land the derelict pub occupied to create a luxury development of ten beautiful three bedroom homes. The stunning new homes will offer an outstanding specification and spacious, considered interiors. Our plans include master suites with a dressing area and en-suite, designer kitchens with high quality integrated appliances, upgraded chrome fittings and porcelain tiling within the main family bathrooms, and more. The homes come with a 10year LABC warranty and are available with a low 5% deposit option. To find out more please contact our friendly sales team.